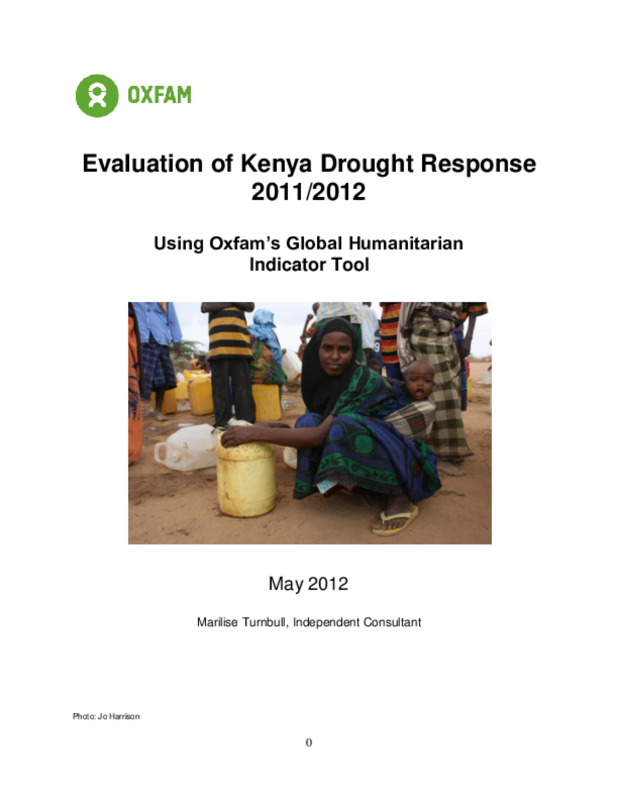 This report presents the findings of an effectiveness review carried out on Oxfam's response to the 2010/11 drought-related food crisis in Kenya that was undertaken through the application of Oxfam's Humanitarian Indicator Tool. In fully meeting eight of the 12 quality standards, the report points to the importance of having well-positioned programmes able to detect and respond to hazards. Despite this, timeliness of response in a slow onset disaster remains problematic. The report identified how this was recognised by the Oxfam team and the emphasis it placed on humanitarian advocacy, urging the Government of Kenya and international community to react as fears of an impending crisis grew.